"Under a darkened moon, standing upon the edge of space, he stands. A figure of a race long since removed from the universe, seemingly resigned to his fate to wonder the universe alone. You watch as he observes the comming eclypse from the observation deck of the Tardis, a crystal-clear dome from which space glitters like a million fireflies. He's always been talking about his time, saying how weary he gets from wondering so much. At that moment, he turns to you, slightly at least, gazing back at you with a tired but stern expression. You wonder what those eyes have seen, the people he's watched evolve, watched in their happiest of moments, watched in their darkest hour, how many tears they've cried, in rage and in mourning. 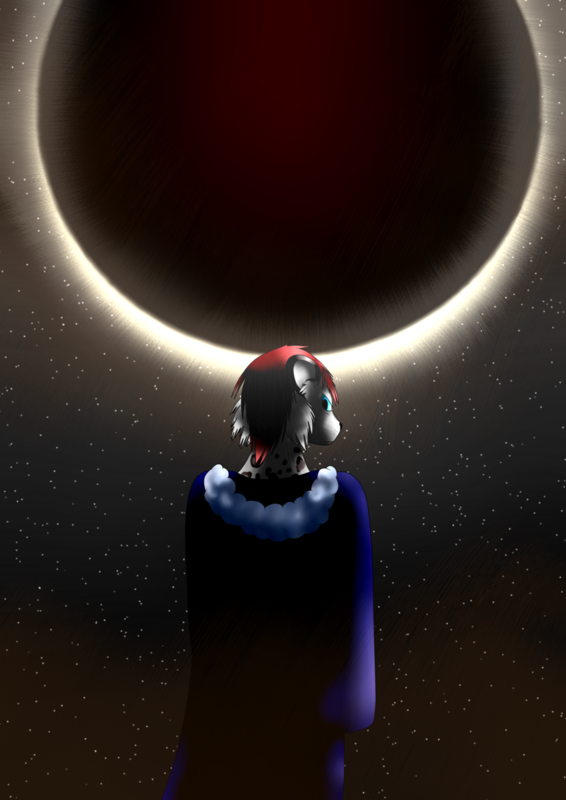 You're partially shocked at the sudden onset of the Eclypse behind him, turning the planets moon a darker shade of crimson. Within his gaze a calm realization takes hold. His time is coming to an end..
For this timelord, its now only a matter of time..."
Any ideas on possible species to change into?